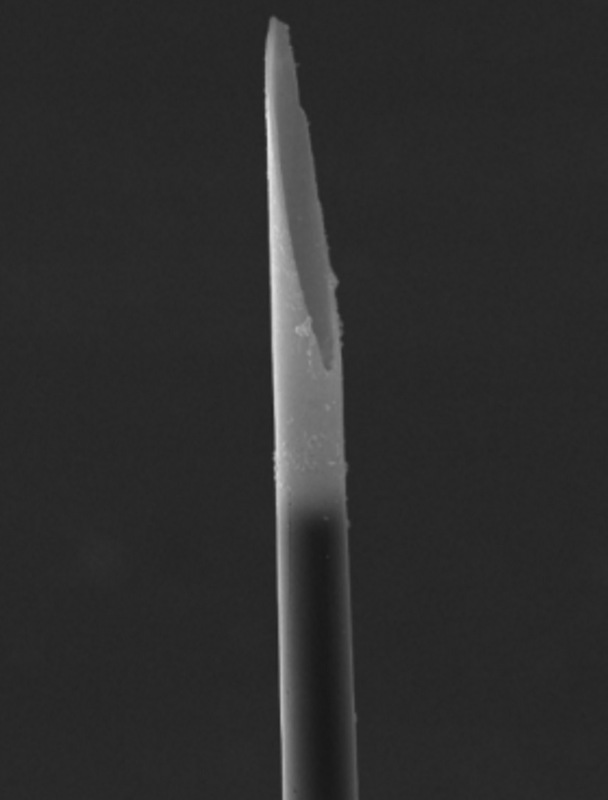 Traditionally, electrochemical experiments at single cells in culture are carried out with beveled disc electrodes. 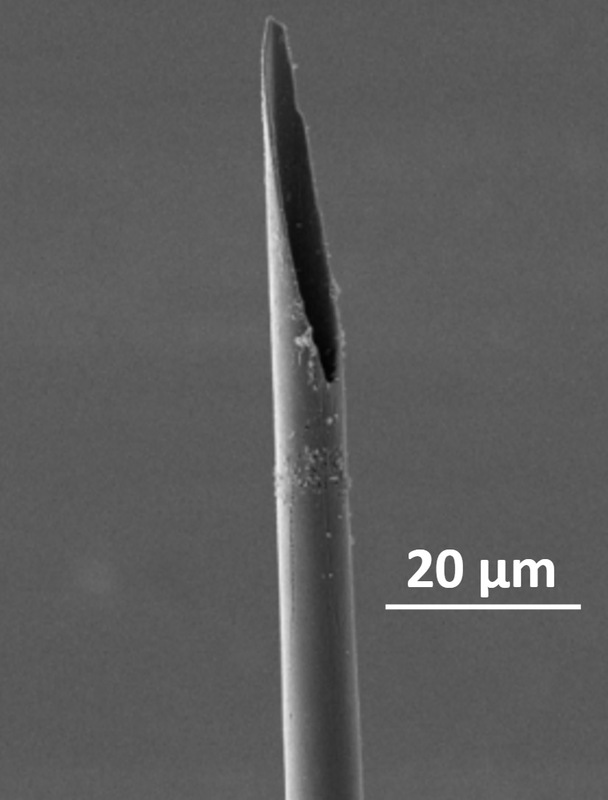 We have developed a microcavity carbon-fiber electrode. The sensing surface is recessed from the glass insulation to alter mass transport, improving sensitivity. When compared to traditional electrodes, we detect more molecules per release event with the cavity electrodes, suggesting that most experiments underestimate the amount of neurotransmitter released during exocytosis. We are continuing to develop this technology, while also utilizing it to lend more insight into fundamental aspects of vesicular exocytosis.